The returning to normal of U.S. federal government reports and data sources are revealing the impact of the cold and wet winter on the fed cattle production. As pointed out in last week’s ITCM, cattle on feed inventories are very high: 11,678 thousand head in the seven major states. This is above last year’s 11,630 thousand head and average of the prior five years for February 1 of 10,781 thousand head. The inventory of long-fed cattle – cattle calculated to have been on feed over 120 days – is also substantial. This inventory is 3,993 thousand head, is well above last year’s 3,558 thousand head, and the average of the prior five years for February 1 of 3,500 thousand head. There are a lot of cattle to be marketed through the end of March and into April and May. Slaughter volumes reported in the weekly Livestock Slaughter report do not communicate that this is happening. Total cattle slaughter is up modestly. Within total cattle, cow slaughter is higher some weeks by 10 thousand head, fed heifer slaughter is up some weeks 10-20 thousand head, and the largest portion – that being fed steer slaughter – is even with the prior year or softer. April marketings will be an important indicator of the potential strength of the cattle markets through the summer. Weak marketings will suggest a backlog of animals. The first quarter of any calendar year is an important time for most commercial cow-calf producers. If it has not started already, calving season will begin soon. Shortly after the onset of calving season, decisions must be made in regards to breeding season. Management choices in the areas of reproduction and genetics made during this timeframe can certainly influence a cow-calf operation for years to come. Regardless of whether you use a natural service sire or artificial insemination in your breeding program, there is little justification for a lengthy breeding season. A 60-day breeding season is an ideal goal to shoot for and I would recommend nothing longer than 90 days. If you are currently involved in a longer breeding season, there are valid economic and management reasons to make a change. It requires a little discipline, some rigid culling, and a willingness to use technology and other resources available. During the Ohio Beef School webinar last month, Dr. Alvaro Garcia Guerra discussed the challenges of getting cows and heifers bred, regardless if by artificial insemination or natural service. In particular Dr. Guerra offered insight into the impacts of nutrition on heifer development and conception rates of heifers, as well as the impact nutrition has on days to return to estrus and conception rates of lactating females. The USDA initiated the National Animal Health Monitoring System (NAHMS) in 1983 to collect, analyze, and disseminate data on animal health, management, and productivity across the United States. The NAHMS team conducts national studies on the health and management of United States domestic livestock populations. These studies are designed to meet the information needs of the industries associated with these commodities, as identified by people within those industries. Does 2019 Mark the End of Beef Herd Expansion? After some delay due to the federal government shutdown, USDA released their January 1 estimates for cattle inventory on February 28th. At the national level, beef cow numbers were estimated to have grown by 1% from 2018. This is a lower rate than was seen last year, but growth nonetheless. Going back to 2014, the beef cow herd has grown by almost 10%. 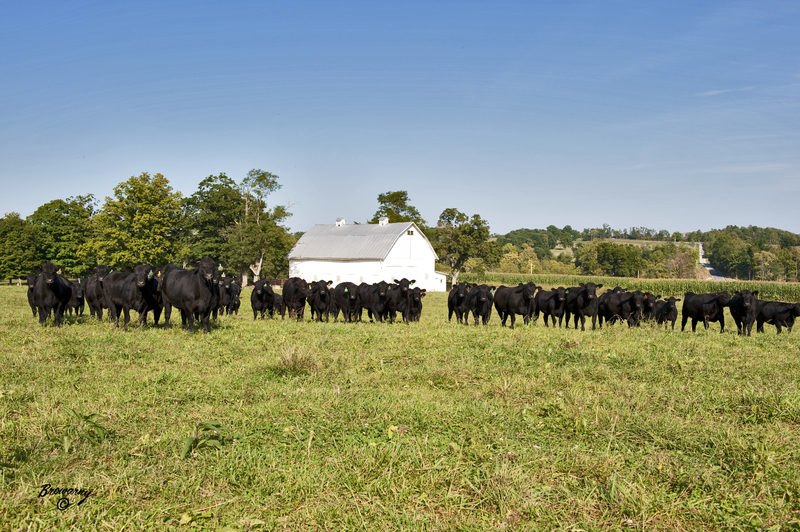 Heifer retention estimates provide further evidence that herd growth is slowing as the number of heifers held for beef cow replacement was down by 3%. Following the shutdown, fundamental information is slowly returning to normal. The February Cattle on Feed report was released last Friday, with the March report scheduled for its normal date of March 22. The February report gives the January activity and February 1 totals. Also, the report contains the monthly and quarterly summaries of prior-year activity and includes an annual breakdown by feedlot size. Thus, it is a good reference report. 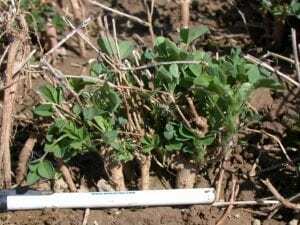 Rapid freeze/thaw cycles and saturated soil conditions have created the potential for heaving with taprooted legumes like alfalfa and red clover.